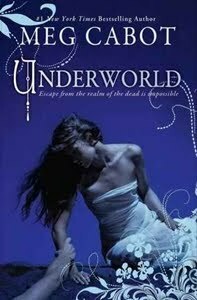 Today I have chosen Underworld by Meg Cabot (expected publication: May 8th 2012 by Point). It will be the second book in the Abandon trilogy, which is a retelling of the Persephone myth. “From #1 New York Times bestselling author Meg Cabot, the dark reimagining of the Persephone myth begun in ABANDON continues … into the Underworld. Her captor, John Hayden, claims it’s for her own safety. Because not all the departed are dear. Some are so unhappy with where they ended up after leaving the Underworld, they’ve come back as Furies, intent on vengeance . . . on the one who sent them there and on the one whom he loves. 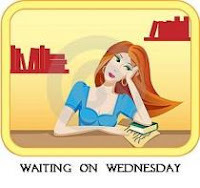 This entry was posted in Waiting On Wednesday and tagged Abandon trilogy, EM Castellan, Greek Mythology, Meg Cabot, Persephone myth, readings, Underworld, Waiting On Wednesday, WoW, YA Books, Young Adult literature. I totally agree with this – I cannot wait to get my hands on this book either. Thanks for stopping by! The only thing I didn’t like about Book 1 of the Abandon series was how short it was… I really recommend it! I love the sound of this one, but I really wish the covermodel wasn’t so darn anorexic-looking.